Nice Bike. 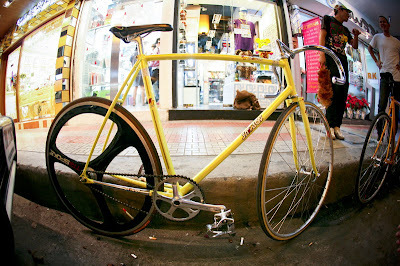 it's P'neng's bike (BKK) , Samson 56cm frame with all NJS parts with rear Trispoke rims. It made me smile when i saw it.